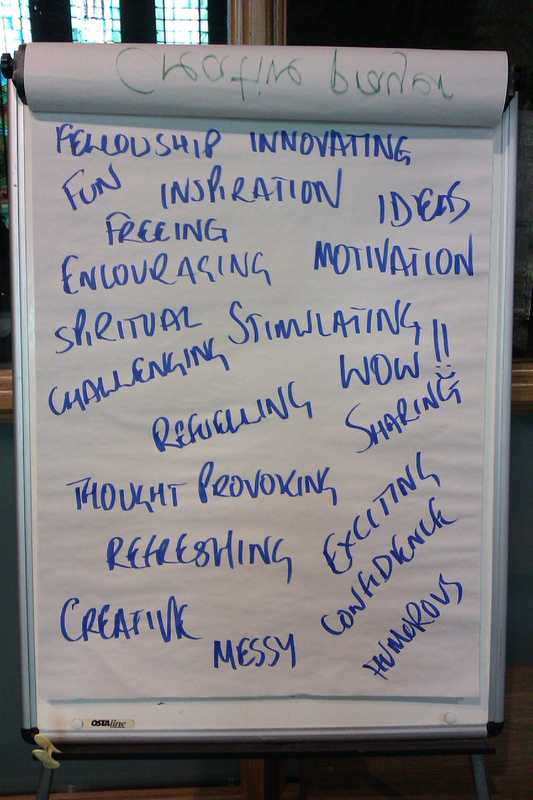 Church of England participants on the Isle of Man gave this instant feedback at the end of their ‘Taste and See’ day. “Claire delivered a superb training session to around one hundred headteachers, teachers and teaching assistants at the start of the new school year. Despite the wide ranging roles of her audience, Claire pitched the content brilliantly and everybody found something in the session which was relevant to them. There were lots of very practical and creative ideas which we could take back into school and begin to use straight away with the children. Feedback from all the schools involved was very positive. 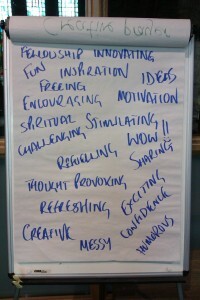 This inspiring and engaging workshop was an excellent way to start the new term.” Rachel Hindle, Headteacher, Cumbria. “The training Claire provided on children’s spirituality at our Church School Headteacher’s Conference and for clergy and teachers was inspirational. Claire not only managed to unpack and define childhood spirituality, she illustrated (with concrete examples) how to provide those essential experiences in both a school and church setting. The workshops provided an excellent balance of theory and practice within an atmosphere which also evoked personal spiritual reflection amongst delegates. I would highly recommend Claire as a trainer and facilitator. Her expertise and ability to communicate and shape this challenging subject, of nurturing spirituality in children, was outstanding.” Sue Green, Diocesan Director of Education for the Diocese of Truro.